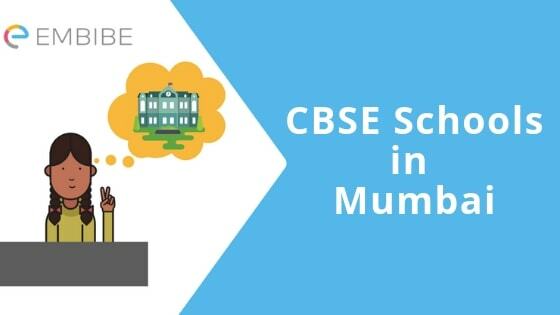 CBSE Schools In Mumbai: Parents give a lot of thought when it comes to their children’s education, especially while choosing the school for them. It is better to start your journey of choosing the right school by weighing in various factors, such as teaching standards, school infrastructure, curriculum, safety, fees, location, etc. If you are in Mumbai and looking for the best CBSE schools in Mumbai, then we are here to assist you. CBSE schools are the most preferred schools by parents in India and there are plenty of CBSE schools in Mumbai. But only the best schools with proper facilities can result in the overall development of a child. Here are the top CBSE schools in Mumbai that are filtered based on the education standards and facilities, such as playgrounds, labs, hostel, transportation, etc. Go through this article and click on the relevant links provided to know more about the schools in detail. These schools are not arranged in an orderly manner so you can choose any one of the above-listed schools based on your needs and convenience. The biggest advantage of CBSE schools is that various national level competitive exams, from NTSE to JEE and NEET are based on the syllabus that CBSE affiliated schools follow. Students in their 8th, 9th, 10th, 11th, and 12th standard can practice Science and Mathematics subjects on Embibe for free. They can solve CBSE practice questions and take CBSE mock tests for Science (Physics, Chemistry, and Biology) and Mathematics at Embibe. We hope this article on CBSE schools in Mumbai helps you. If you have any question, feel free to post it in the comment box below. We will get back to you as soon as possible.